The Creative Coalition Campaign has welcomed plans to crack down on internet piracy outlined by Lord Mandelson today (October 28). Speaking at C&binet, a government conference for the creative industries, the Business Secretary confirmed previously mooted plans to block persistent offenders from using the internet. The strategy, which will be set out in the Digital Economy Bill due this November, will include a notification process that could lead to users being suspended from the internet as a last resort. The notification process was laid out in the Digital Britain report, which was published in June. However, that stopped short of banning repeat offenders from the Web. The new scheme will be introduced in April next year and monitored over a period of 12 months. If it fails to achieve a 70% reduction in illegal filesharing by July 2011, internet suspensions will begin. An appeals process will be put in place for people who are banned from using the internet. Mandelson added that Internet service providers (ISPs) and rights-holders will share the cost of implementing the new scheme. The Creative Coalition Campaign said it welcomed the acknowledgement that ISPs will be required to work with rights holder to properly tackle file-sharing. There have been concerns about the lack of co-operation between ISPs and the creative industries, which sources says has been driven by uncertainty over who will foot the bill and who will bear the responsibilty for implementing and montoring the scheme. The campaign represents a number of entertainment unions and is supported a number of industry associations including the Cinema Exhibitors’ Association, Motion Picture Association, Equity and the British Video Association. 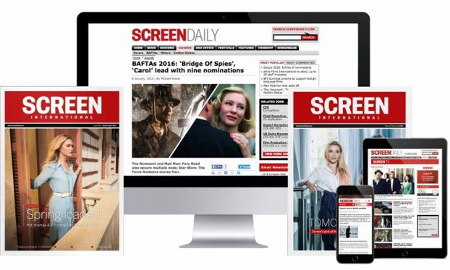 ScreenDaily rounds up the industry reaction to key proposals for film industry from the Digital Britain report.